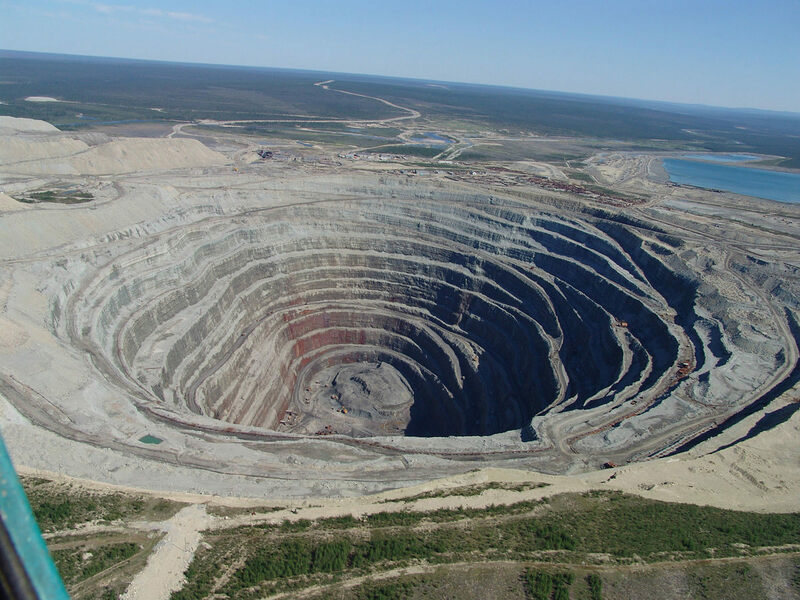 Located in eastern Siberia the Mir Diamond Mine is the second largest man made hole in the earth. 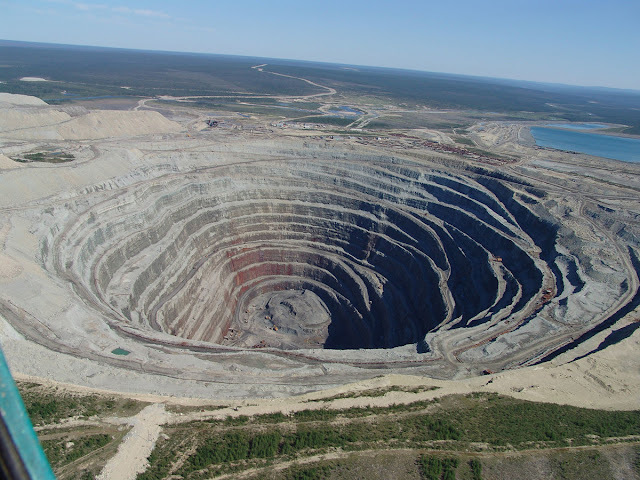 It is 1722 feet deep and 3900 feet across. It has been in operation since the end of WW II. Additional images can be found here.